I’m not really keen on the self-promotion game, but I feel obligated to inform you that Advanced Death Saves is now available through Comixology. 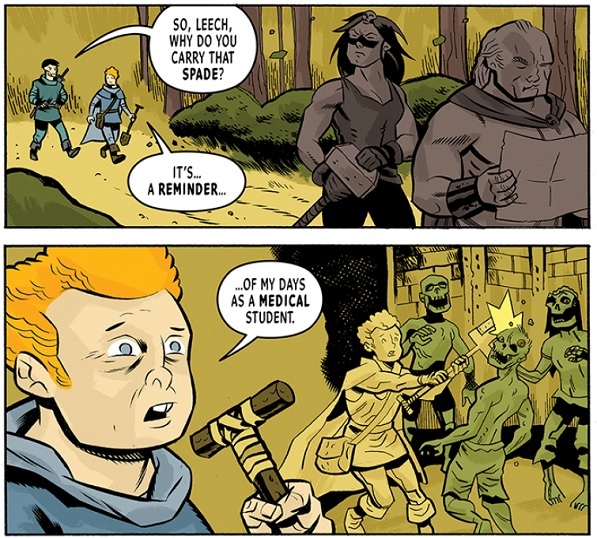 This follow-up to the original Death Saves anthology further explores matters of tragic mortality around the gaming table, and expands the concept beyond the boundaries of the heroic fantasy genre. It also includes “Sawbones,” written by yours truly and beautifully rendered by the mighty Matt Digges. Like “Brassfist of the Gore” from the original Death Saves book, it’s based on an incident from my undergrad gaming days and Matt did a fantastic job bringing it to visual life. 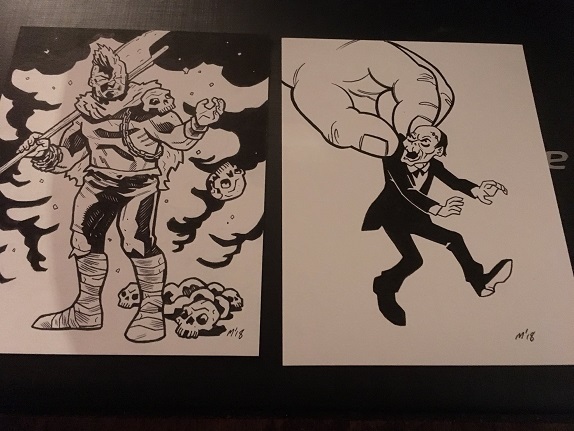 On the right is Dr. Cesspoole, a Stumbo the Giant adversary (from Harvey Comics’ Hot Stuff) I suggested for Matt’s skull-themed “Inktober” art jam. On the left is Brassfist, doing what he did best. 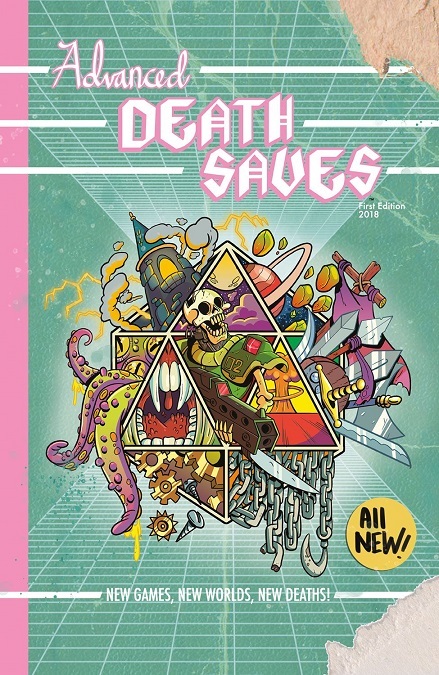 Anyway, if you’re are into role-playing games, tragic and/or comic character deaths, and great work by a talented crew of folks, go check out Advanced Death Saves.